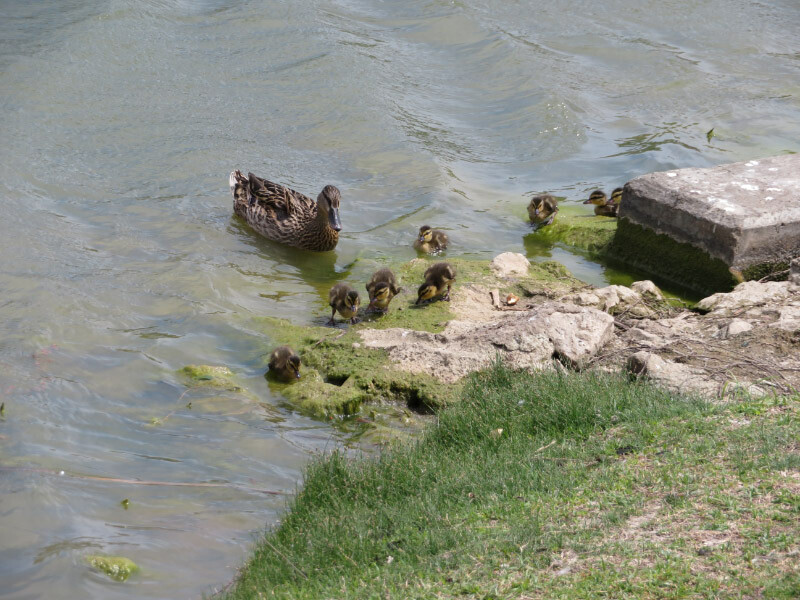 There were two cohorts of Mallard ducklings at Josey Ranch lake in Carrollton TX last week. I walked saw them on two different days – one group had 7 ducklings and the other 8. 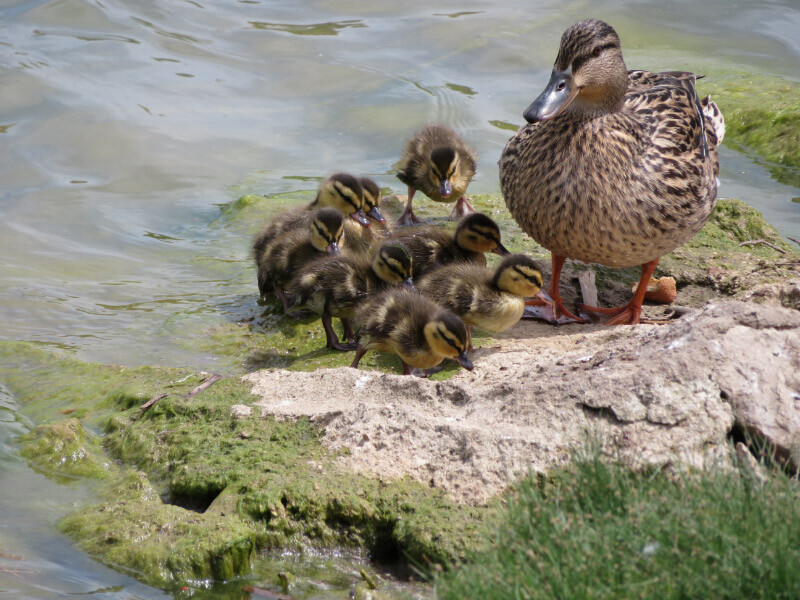 There are some larger turtles in the lake that might be a threat while the ducklings are so small – but the parents (sometimes with extra helpers) were attentive and keeping the ducklings in the shallow water away from deeper water where the turtle could pull them under. Most of the time the ducklings stayed together. There were several instances that it appeared that the female was making sure all of them were still with her! There seemed to be more males that females around the lake and all the adults seemed to be near where ducklings were. 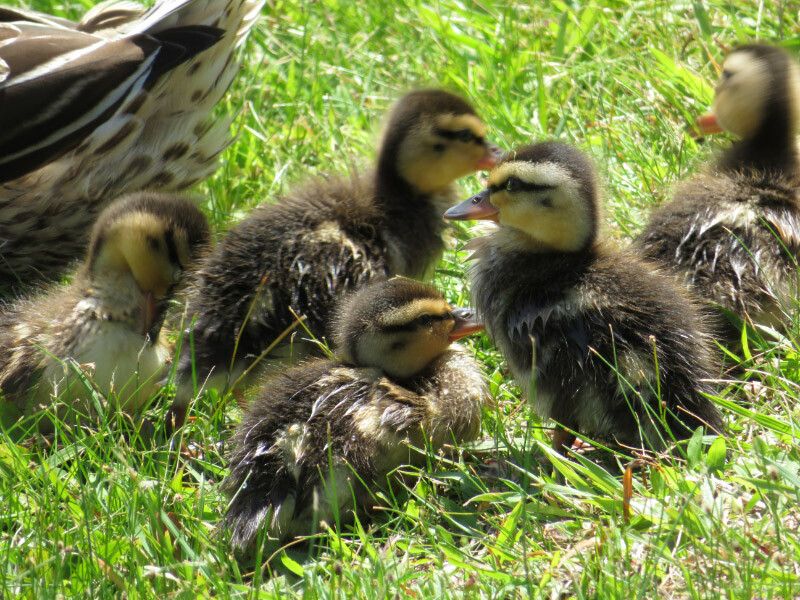 Enjoy the ducklings – one of the sure signs of spring!